With an unparalleled historical heritage, Montpellier is a green, young and dynamic city near the Mediterranean. 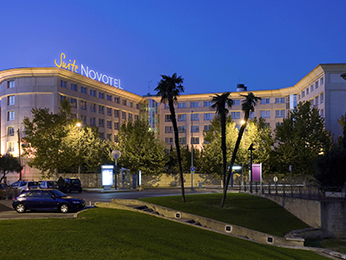 Discover the city by booking a stay in our Novotel hotels, where we offer you the best possible welcome. Start your visit in old Montpellier, beginning with the Place de la Comédie, the throbbing heart of the city. The old city centre, the Écusson quarter, owes its name to its ecu shape. It architecture oscillates between the mediaeval and the classicist. Walk from Écusson to the Arc de Triomphe of Montpelier, the very biblical Saint-Pierre Cathedral and the Montcalm mansion, which dates back to the 16th and 17th centuries. Continue your stroll to the Fabre Museum, with its exceptional collection of works from the 14th to the 20th century. Lovers of the sea world should visit the immense Mare Nostrum aquarium. Discover a multicultural, working-class neighbourhood in Figuerolles before strolling about the very romantic Place de la Canourgue. If you are interested in architecture, you must go to the Antigone quarter, a masterpiece of Ricardo Bofill, well on it way to becoming the new centre of Montpelier thanks to its many businesses, homes and restaurants. Take the time to enjoy Montpelier from its sunny terraces. 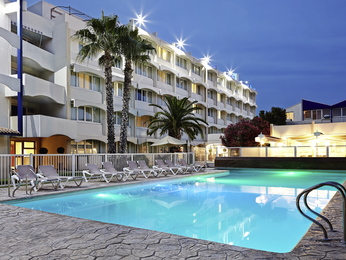 Our three Novotel hotels welcome you to a combination of well-being and comfort.